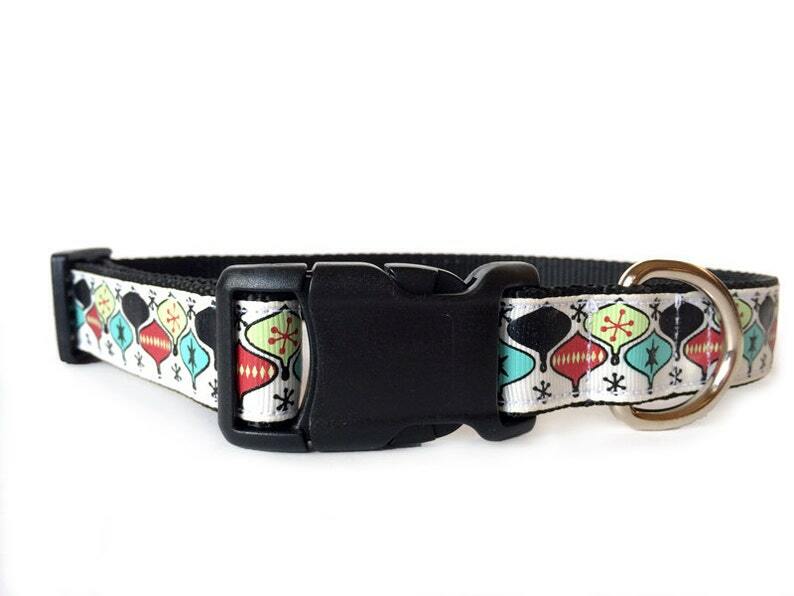 This Retro Ornament Christmas Dog Collar is a throwback to the 50s holiday feel. It's got a classic 50s retro style that'll make you nostalgic for the simple times. It's an adjustable collar that is made with grosgrain ribbon featuring blue, red, green, and black ornaments and is attached to black heavy-duty nylon webbing using interfacing and high-quality thread (triple sewn on pull-points). The hardware is plastic (a contoured, quick-release buckle and slip-lock) and a welded nickle D-ring.